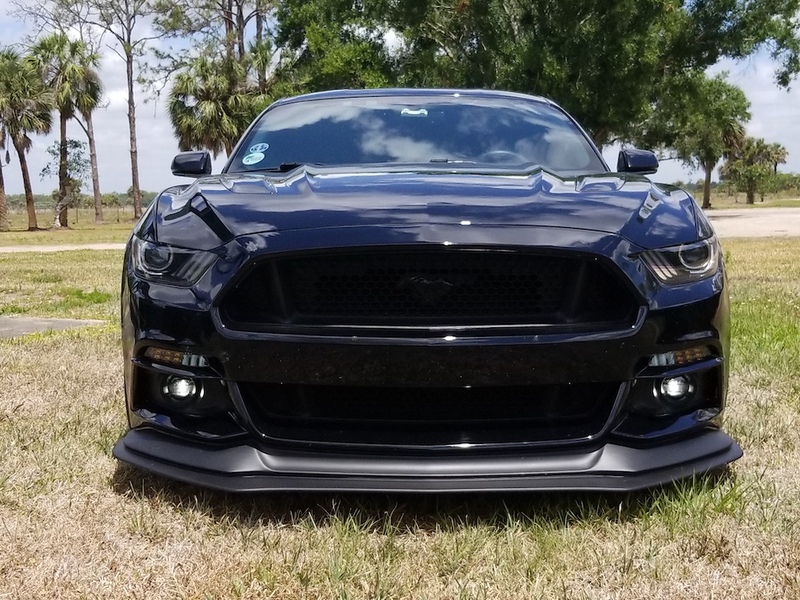 The Steeda Q-Series Front Splitter is specially crafted and engineered to improve styling and performance of your Steeda Q-Series Front Fascia equipped 2015-2017 Mustang. By creating a high-pressure area on top of the wind splitter, high-pressure air flow is restricted from flowing underneath the car. You can gain substantial amounts of control and traction when there's low pressure below the car reducing lift. That makes this front wind splitter a must for Mustang enthusiasts that really want to grip the streets when going fast! Q-Series Splitter tops it off! I loved the aggressive looking Q-Series Front Fascia once I saw it for the first time, and got it installed on my '17 GT PPP immediately after taking delivery. I recently learned about the splitter addition and just had to get one. Love the added length up front. Looks extremely aggressive. The amazing team at Steeda in Pompano Beach did an excellent job installing the splitter. Could not be happier!